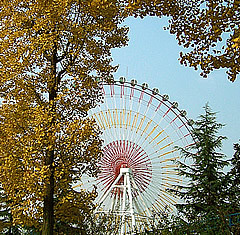 as a professional portal of chengdu offices, 028office.com is engaged in issuing information of renting and selling offices and relevant commission. the website offers renting and selling information of over 500 office buildings of various levels, and it keeps a good partnership with many office building developers and property companies for its rich experience as an agent for potential customers of office buildings. if you want to find a desirable office without wasting time and money, our all-around service free of any charges on you will be your best choice. our skilled senior advisers will offer you the first-class and professional service in finding the office that fits you best. what is the all-around service for free? based on the industry situation of renting offices, 028office.com offers service to tenants not only for free (no commission is charged) but also for all the same service quality. 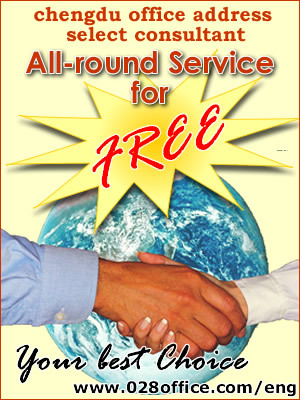 “the all-around service for free” means to help you find a desirable office with the least money, time and trouble. why is our free service the best choice? as a professional provider of information of renting and selling offices and relevant commission service in chengdu, 028office.com can help you find the most suitable office with the least money, time and trouble due to our renting and selling information of most offices in chengdu and our abundant commission experience. how to enjoy the all-around service for free? step 1 leave your information: you can call us (see how to contact us or the bottom of this page), or leave your requirements and contact information on the website for our advisers to get in touch with you as soon as possible and make some suggestions according to your requirements. step 2 recommendation of office buildings: based on your demand, we will pick several available office buildings that suit you best out of over 500 office buildings for your reference, saving your time and traffic. step 3 field survey: you can visit and make a field survey to the office buildings most desirable in company of us, and have a preliminary negotiation with the property manager or the owner. step 4 price negotiation: we can bargain with the property manager as you required with our professional skills and experience for a more desirable price and a better payment period. step 5 contract negotiation: we will assist you to obtain preferential conditions during the course of negotiation and signing the contract. after-sale service: if required, we will make recommendations of providers of office fitment, furniture and apartments. chengdu pangu network co., ltd.
taiwan cardtek industrial co., ltd.
taiwan lingcheng (chengdu) technology co., ltd.
america teling conditioner co., ltd.
chengdu movaya technology co., ltd.
chongqing justin mobile communication co., ltd.
zhejiang tianjie group co., ltd.
sichuan bingxin auction co., ltd.
america west investment consultant co., ltd.
hongkong li & fung trading service co., ltd.
chengdu minxin financing investment & guaranty co., ltd.
hongkong jianfa holding co., ltd.
wuhan jianmin pharmaceutical co., ltd.
japan dakin air conditioner co., ltd.
china state construction international co. ltd.
chengdu happy digital information & technology co., ltd.
japan electron optics laboratory co., ltd.
uniland consulting (shanghai) co., ltd.
singapore surbana international (consultants) pte ltd.
shanghai baodewei clothing co., ltd.
haier new york life insurance company ltd.
chengdu drive technology co., ltd.
chengdu liuyanggou food co., ltd.
ruigang (shanghai) steel co., ltd.
chengdu maxel technology co., ltd. kishimotor trading（shanghai) co., ltd.
laerdal medical ( hangzhou) co.,ltd. spain atlantic ferrous alloy co., ltd.
shanghai pudong development bank, co., ltd.
china minsheng bank changhong information & technology co., ltd. chengdu branch of szitic business profession co., ltd. hengping trust co., ltd.